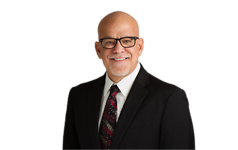 Atkinson, Andelson, Loya, Ruud & Romo (“AALRR”) has announced that Mark Bresee, who recently served as General Counsel for San Diego Unified School District (“SDUSD”), will join the firm effective November 29, 2010 as a partner in its Public Sector Practice Group. Prior to joining SDUSD, Mark was in the legal services division of the Orange County Department of Education, after more than twelve years in education law. Mr. Bresee joins AALRR where his practice will include counseling districts and county offices of education in a wide array of legal issues.